During the final months of his life, Walt Disney was consumed with the world-wide problems of cities. His development concept at the time of his death on December 15th, 1966 would be his team’s conceptual response to the ills of the inner cities and the sprawl of the megalopolis: the Experimental Prototype Community of Tomorrow or, as it became known, EPCOT. 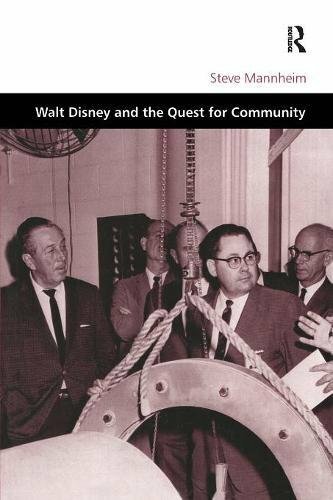 This beautifully written, instantly engrossing volume focuses on the original concept of EPCOT, which was conceived by Disney as an experimental community of about 20,000 people on the Disney World property in central Florida. With its radial plan, 50-acre town center enclosed by a dome, themed international shopping area, greenbelt, high-density apartments, satellite communities, monorail and underground roads, the original EPCOT plan is reminiscent of post-war Stockholm and the British New Towns, as well as today's transit-oriented development theory. Unfortunately, Disney himself did not live long enough to witness the realization of his model city. However, EPCOT's evolution into projects such as the EPCOT Center and the town of Celebration displays a remarkable commitment by the Disney organization to the original EPCOT philosophy, one which continues to have relevance in the fields of planning and development.